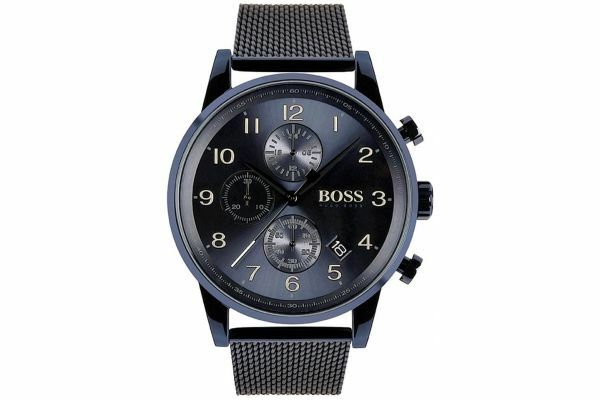 Men’s Hugo Boss all blue Navigator sports chronograph watch with a large chronograph dial, date and clear silver numerals. Completely blue including the dial, complemented by a matt brushed case and an all blue mesh self adjusting strap. 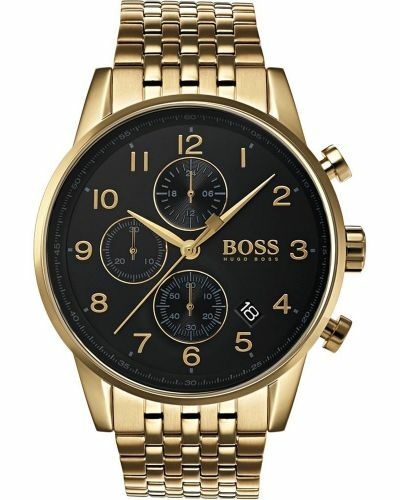 Powered by a quartz movement and comes with an official 2 year Hugo Boss guarantee.